SAN JUAN — At least 500 passengers were being evacuated this morning from a ship that caught fire about a mile off Puerto Rico’s north coast. The fire was still burning aboard the Caribbean Fantasy, a combination cruise and ferry vessel, as the U.S. Coast Guard prepared a mass-rescue craft to bring passengers safely to the San Juan harbor. No major injuries have been reported and no one is missing, Coast Guard spokesman Ricardo Castrodad said in a phone interview. She said passengers are sliding down into rescue rafts, with 50 people still on board as of late this morning. The ship runs several times weekly between Puerto Rico and the Dominican Republic and was arriving in San Juan when the fire broke out, Castrodad said. It is unclear what caused the fire. 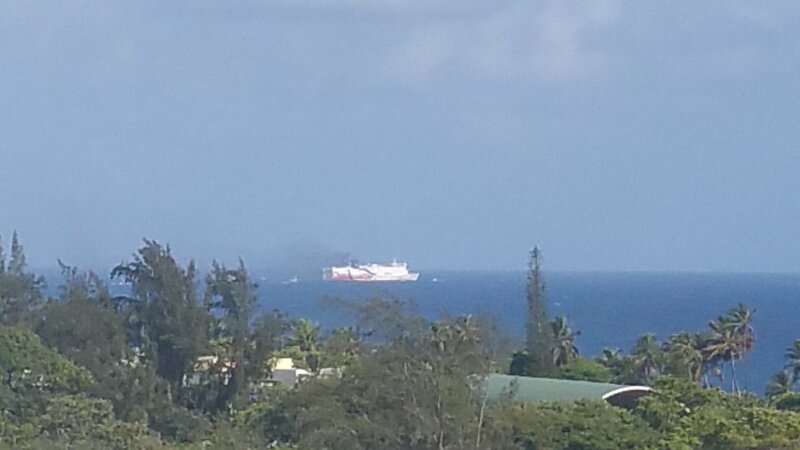 Police say smoke was spotted this morning aboard the Caribbean Fantasy as it traveled near Puerto Rico’s north coast. San Juan Police officer Aurelis Colon said in a telephone interview that the ship has since docked safely in Puerto Rico. There were 512 passengers and crew on board the stricken vessel, which was about one mile from the San Juan Harbor, according to the U.S. Coast Guard. 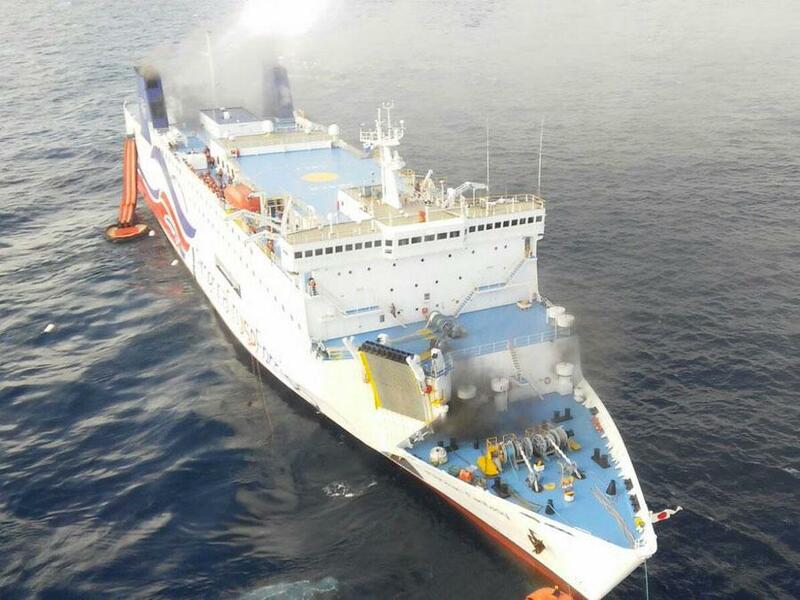 Photos tweeted by Puerto Rican authorities showed smoke coming from the rear of the ship.